App-store signing is a tedious process and when it is done without Xcode, so many things could go wrong. This guide provides a detailed step-by-step explanation on how to re-sign an iOS/tvOS archive without Xcode. This can be used when you have xcarchive file that needs to be converted to an IPA and then signed with different profiles and certificate. This also describes how to change bundle ID of the application. Frameworks folder can be found within the .app file. First, extract the entitlements from the existing archive file. These later need to be used to sign the IPA file. Run the following command to extract the entitlements into a .plist file. Do this for the main app and any plugins/extensions within the project. Next, create an IPA file from the xcarchive file provided. The reason is that xcarchive files cannot be signed, only IPA files can be signed. Retrieve the .app file from the Products folder and place this in a new folder called “Payload”. 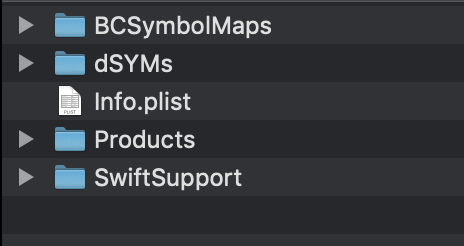 Also retrieve the ”SwiftSupport” folder from the xcarchive and place it at the same level as Payload folder. If the SwiftSupport folder is missing, apple rejects the build during the verification process while uploading on to app store connect. Now, compress these two folders together to create a new zip file. Rename the zip to any name and change the extension to .ipa. You now have your IPA file. Now, unzip the IPA file to remove existing signature and re-sign this. Run the following command to unzip the IPA file. Then remove signature from .app and all of the .appex (if any). Run the following command to do the above. Make sure to be within the correct directory before running these. (Optional) If the bundle ID needs to be changed, this can be done by opening the info.plist file within the “Payload” folder. Please note that if you are changing the bundle ID of the main app, the same needs to be done for the extensions as well. The info.plist file for extensions can be accessed from within the .appex files.Also, you can change/bump the version number from the info.plist file. However, you need to make sure this is done for the extensions as well. Now, it’s time to codesign the IPA file.This step is again a bit more involving and needs to be done in the same exact order as described here. This order is important. The internal folders must be signed first. First, we need to codesign the frameworks. Run the following command to codesign all the frameworks at once. Next, we need to sign all the app extensions (if any). Run the following command for each extension within the archive. And, we’re done. Now everything needs to be packaged up. Run the following command to zip everything back up. “Code signing fails with error ‘resource fork, Finder information, or similar detritus not allowed”. This is a security hardening change that was introduced with iOS 10, macOS Sierra, watchOS 3, and tvOS 10. Code signing no longer allows any file in an app bundle to have an extended attribute containing a resource fork or Finder info.